Children under the age of 12 and women who are more than 5 months pregnant will no longer be subject to immigration detention in Taiwan. Significant changes to immigration detention have been included in amendments to Taiwan’s Immigration Act on 23 January 2015. 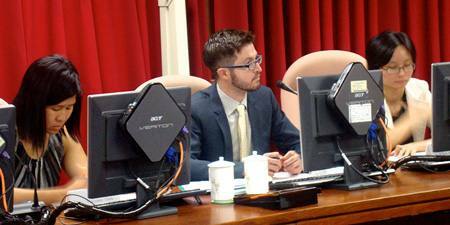 These changes come after a judicial interpretation in 2013 by the Taiwan Great Judges (no. 708) revealed that section 38 of the Immigration Act was unconstitutional as it violated an individual’s right to freedom of movement. The new section 38 of the Immigration Act now provides that the following groups are now exempt from immigration detention: individuals with mental health disorders, contagious diseases, life threatening conditions, women who are more than 5 months pregnant or who have had a miscarriage within the past 2 months, and children under the age of 12. Foreigners may be detained by the National Immigration Agency (NIA) for an initial period of 15 days. During this period, detainees may request judicial review of their detention under Taiwan’s Habeus Corpus Act, and may be released if their detention is found to be unnecessary or unlawful. According to IDC members Taiwan Association for Human Rights (TAHR), the courts have ordered release from detention in 6 cases since the passing of the Habeus Corpus Act in July 2014. This initial 15 day period may then be extended twice, upon application by the NIA to for a first period of no more than 45 days and for a second period of no more than 40 days. Extensions to the period of detention will now require judicial oversight, whereas previously these decisions were solely administrative. 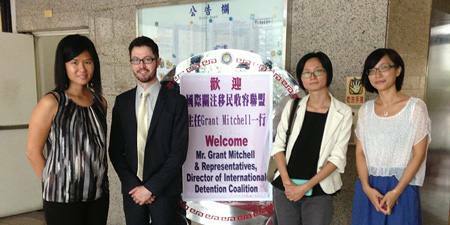 The Director of the International Detention Coalition, Mr. Grant Mitchell, and the IDC Asia Pacific Regional Coordinator, Ms. Vivienne Chew, have supported ongoing national advocacy efforts conducted by TAHR, meeting with officials from the National Immigration Agency to present on international trends in August 2013 and 2012. TAHR have translated the IDC publication There Are Alternatives into Mandarin, and prepared this presentation for officials about available options that limit the use of immigration detention. They have also developed a timeline documenting immigration reform in Taiwan. TAHR have issued this statement (in Chinese only) on the new amendments to the Immigration Act.